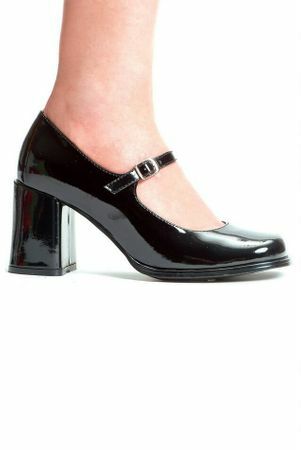 Complete your costume with these women's classic black patent platform mary janes with a square toe, comfortable chunky 3-inch heels, and a strap across the top of the foot. 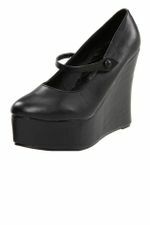 By Ellie Shoes. Note: Most women's costume shoes run at least a half size small, so if you are in doubt about which size to order, please size up. 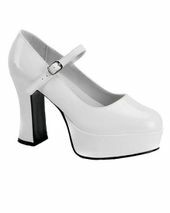 See more options in our Costume Shoes section!